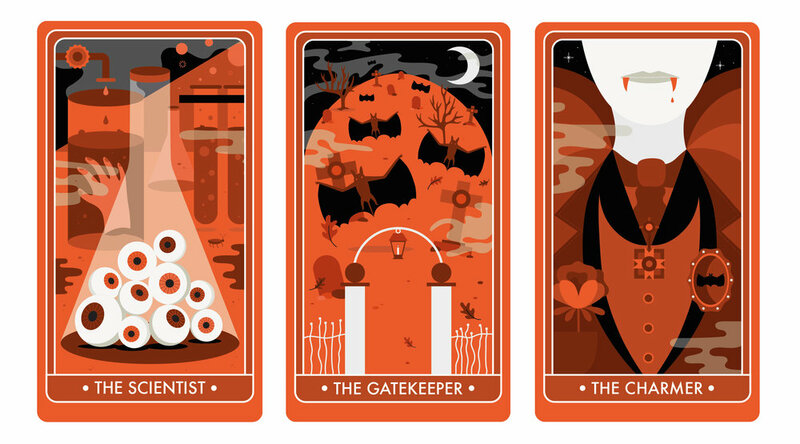 LIDL wanted to raise hell on Halloween, by creating a range of Tarot Cards to promote 'Monster Market', their Halloween product range. I had the delightful job of concepting 12 creepy characters and then worked with illustrator Vanessa Branchi to bring these to life (or death). After clicking on the social post, users were served a spooky deck of Tarot cards, where they had three different cards to choose from. Each card had a different character, and of course, a LIDL product that reflected that card. There were three chances to pick cards, making sure we showed off the range of LIDL products.